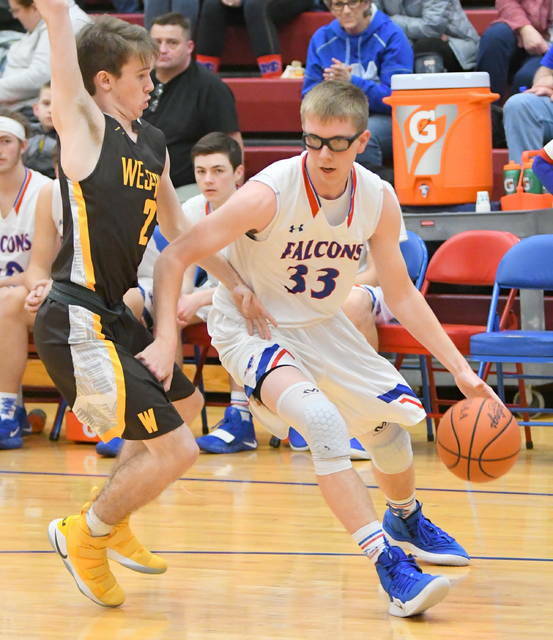 ADAMS TOWNSHIP – Clinton-Massie controlled most of its Southern Buckeye Conference American Division showdown with Western Brown Friday to win comfortably, 66-46. With the win and Wilmington’s loss at Batavia, the Falcons (8-2, 4-1) stand alone in first place in the American Division. Western Brown scored first and then the Falcons rattled off the next nine points. The Broncos (10-3, 3-2) pulled to within 9-6 of Massie, but the Falcons scored the next 17 to lead 26-6 midway through the second period. 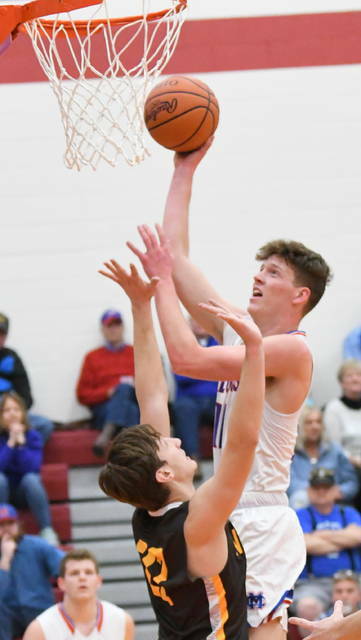 Western Brown scored 15 of the next 19 points to cut Massie’s cushion to single-digits, 30-21, with 10 seconds left in the half. That’s as close was Western Brown would get the rest of the night. 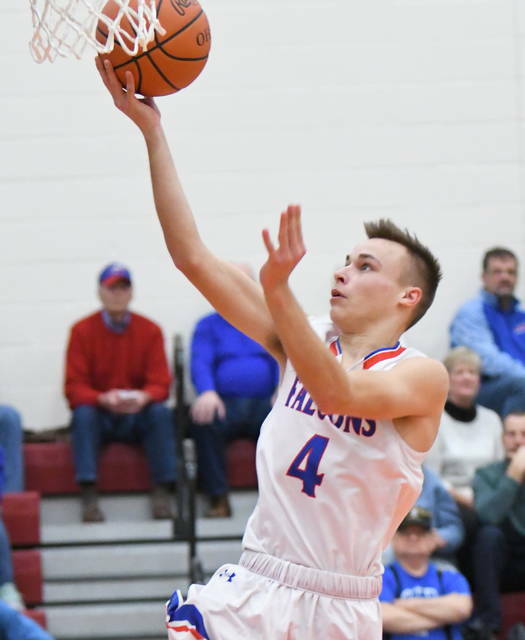 Massie nailed 5-of-5 free throws in the final 10 seconds of the half, including three by Zach Chowning after he was fouled on his attempt behind the arc at the buzzer. Chowning finished with 15 points as did teammate Thomas Myers. Falcon Brendan Lamb led all scorers with 21. Zyon Tull led the Broncos with nine. 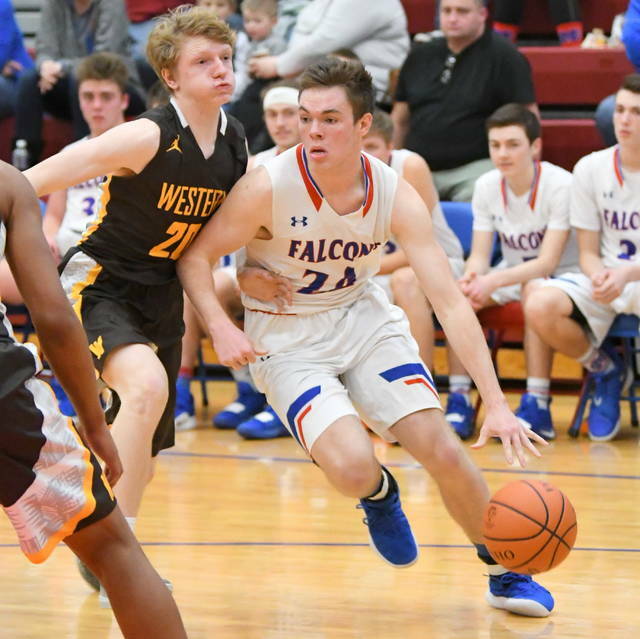 The Broncos did get to within 10 of the Falcons in the first 90 seconds of the second half, but again, Massie squashed Western Brown’s momentum, outscoring the Broncos 17-6 the rest of the quarter to take a 54-33 advantage into the final period. Massie led by as much as 60-34, at the halfway point of the final quarter. Western Brown won the JV game 55-48, behind 17 by Will Sizer and 16 by Jackson Miller. 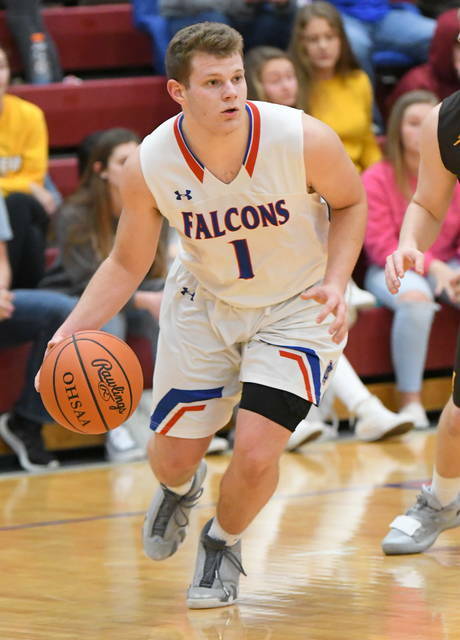 Tate Olberding led the Falcons with 14 points. Carsyn Valentine chipped in with 10. (46) WESTERN BROWN (fg-ft-tp) Whitaker 0-2-2, Taylor 3-0-6, Carroll 2-3-8, Crall 3-0-7, Tull 3-1-9, Williams 2-0-4, Keller 1-0-3, Shaffer 0-0-0, Moore 2-0-5, Sizer 0-2-2, Weil 0-0-0. Total 16-8-46. 3-point goals: 6 (Tull 2, Moore, Crall, Carroll, Keller). FTM-FTA 8-13, 62 percent. (66) CLINTON-MASSIE (fg-ft-tp) Wolfe 1-0-3, Lamb 7-6-21, Myers 4-6-15, Laake 1-4-7, Settlemyre 1-1-3, Chowning 5-3-15, Faucett 0-0-0, Olberding 0-0-0, Valentine 0-0-0, Baker 1-0-2, Voss 0-0-0. Total 20-20-66. 3-point goals: 6 (Chowning 2, Wolfe, Lamb, Myers, Laake). FTM-FTA 20-27, 74 percent.